New York: Delacorte Press, 1997. First Edition, 1997. First printing. Clean copy with canted spine, in dust jacket with wear at hinges, spine ends and corners, tiny abrasion on front, protected in clear, archival polyester cover. A novel about two people who find everything they ever wanted twenty years later than they expected. 217 pages. Our books are guaranteed to be as described and will be shipped promptly in protective packaging.. First Edition. Hard Cover. Good/Good. 7¾" Tall. NY: Delacorte Press, 1995. First printing. 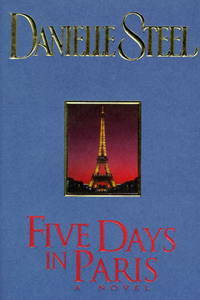 A novel in which two people meet in Paris, enjoy a brief interlude, then return to their former lives. 239 pages.. First Edition. Hard Cover. As New/As New. 7¾" Tall.